Did you know locations like Ashburn and the surrounding area have some of the poorest levels of website security in all of United States? If you don’t have an SSL Certificate Google is going to penalise your website. See what the press is saying about this change and its impact on you. Google https - So what does this really mean for your online business? It's this simple, without an SSL Certificate Google is going to flag your site as not being secure. So when someone attempts to visit they are going to see a message like one of these. Just how much traffic do you think you will get once a visitor sees this? Google - not happy with just "http"
Up to now if your site was not secure, all Google Chrome would do was display a little “i” icon. 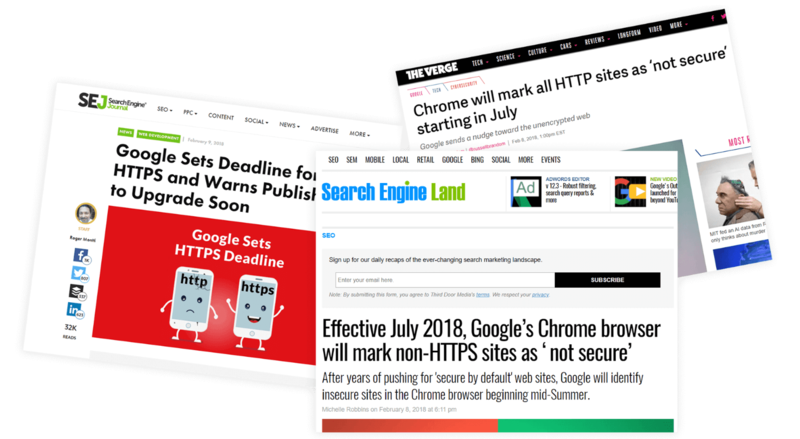 Then in late 2017, the world’s most popular browser Chrome began showing a much scarier red exclamation mark and the words “Not Secure” next to the URL. And as of right now with the latest Chrome download they are going even further with their warnings. Regardless of whether your website is for generating local business through things like Google my Business, e-commerce, informational, or even personal, there’s something unsettling about seeing those words in the browser bar. For some visitors, it could be enough to drive them away. Experts estimate that you could lose two thirds of all your online traffic, not to mention what it’s doing to your Google rankings. By the way, did you know that for some time now Google has been ranking unsecured sites below those that are "https" secured? So, while at face value what is happening might seem a bit dramatic, Google really just wants to provide its visitors with the most relevant, secure browsing experience possible. When users feel safe on the web they’re much more likely to come back and utilise the services that Google offers. 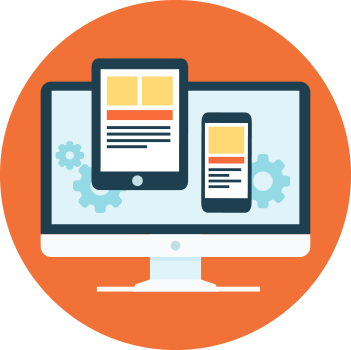 A better user experience equals a more satisfied user base. The same goes for your website. Quite simple really - install an SSL certificate on your website as soon as possible. An SSL certificate is a security measure that once installed on a web server activates a secure connection between the browser the surfer is viewing the content on and the web server that the content is derived from. It's like your websites electronic passport! SSL (Secure Sockets Layer) is the standard security technology for establishing an encrypted link between a web server and a browser. This link ensures that all data passed between the web server and browsers remains private. If you don’t have the SSL certificate, a secure connection cannot be established, that means, your business information will not be digitally connected to a cryptographic key. Once installed the website’s URL protocol will change from "http" to "https" and a green security padlock will also be present in the URL as a way to further signal the status of the website’s SSL certificate. SSL certificates help cut down on instances of cybercrime that are often performed through security loopholes in web browsers. Without an SSL connection, any hacker could seize information, such as credit card numbers, as it is being typed into a form on an unsecured website. In addition to being protected from cybercrime, an SSL connection is needed to encrypt information, critical if you do any form of e-commerce or bookings. And don't forget, an SSL certificate builds trust and brand strength. 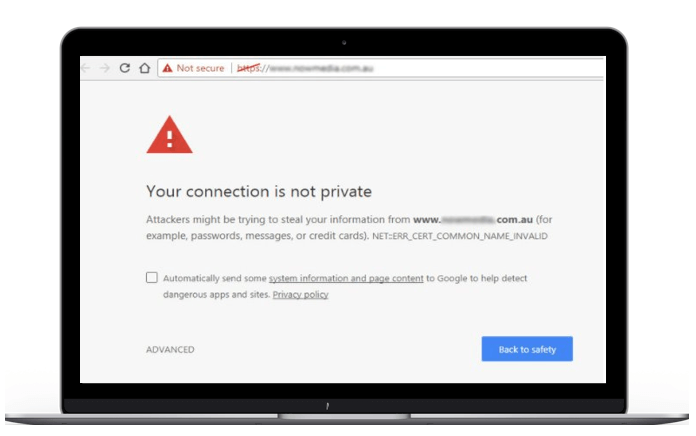 At SSL-Certificate.com.au we can ensure that your website is protected from Google’s major update by having your SSL certificate correctly installed and tested across your entire site, including all your images, forms and content. 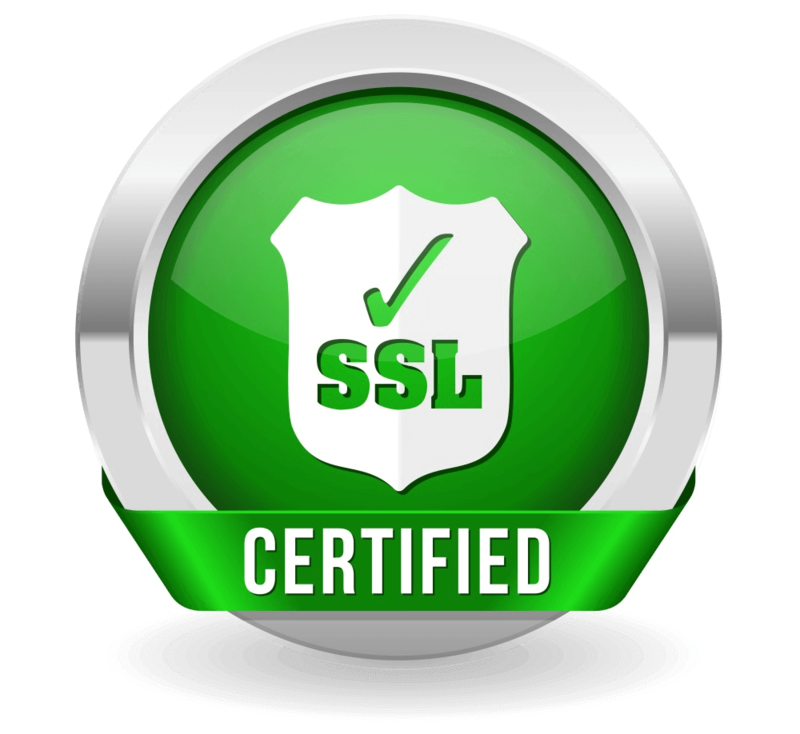 We’re the SSL experts and can have a certificate professionally installed on your site in less than a day. 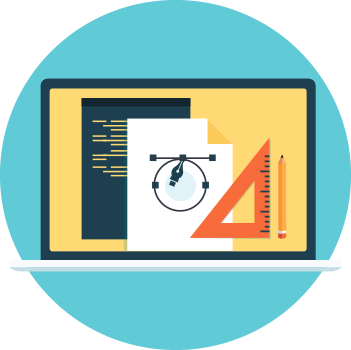 We have a couple of SSL solutions depending on what level of security you want but none are more than a couple of hundred dollars, money well spent to preserve your online presence. Can I get a free SSL certificate? Sure you can! But like everything that is free there is always a catch. Imagine having to go through a painful renewal process every 90 days or having to share the certificate with others...... that is what a "free" certificate will cost you! In our opinion it is simply not worth the hassle, spend a few dollars and enjoy peace of mind and running your business. If you don’t have an SSL certificate on your website, you run a massive risk of losing business and reputation. 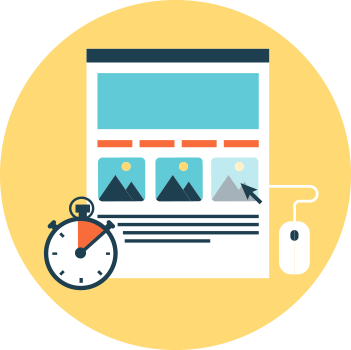 So, it’s not a matter "if" you’ll make the switch, it’s a matter of "when" to ensure your website experiences consistent traffic, leads and sales. Don't hesitate, get a SSL certificate and secure your website today! Let us help you protect your website and stop you being penalised by Google. © SSL-Certificate.com.au. All rights Reserved. Is your website vulnerable to being hacked? Did you know that your location and surrounding area has some of the highest levels of website hacking in the country?